Can coffee affect your hair transplant? Everyone knows that coffee contains caffeine but don't realize that in some cases coffee consumption can affect your hair transplant. One of the most important parts of good growth for a hair transplant is to make sure the grafts are not bleeding during the procedure because bleeding slows the procedure itself and also impedes the growth of the graft. In our office we have a very thorough 'preop' procedure which addresses reasons for bleeding so that they may be avoided. Because coffee can raise your blood pressure, we ask only that on the day of the procedure that you avoid drinking your favorite cuppa because it can raise your blood pressure and make you bleed. Some people get headaches or migraines if they don't get their coffee so if you are used to taking 3-4 cups a day then we recommend 1-2 cups. If course, if absolutely necessary, you can have your usual coffee, but you should know that it may result in a little more bleeding, a little slower procedures, and slightly slower healing hair grafts. Soda with caffeine and caffeine-containing products that act as stimulants are also to be avoided the day of the surgery. If you drink tea or ice tea, usually with less caffeine, it still is prudent to avoid them if possible on the day of surgery. Coffee and caffeine-containing products may be resumed the very next day after surgery. Caffeine Before Hair Transplant Surgery? Do You Need a Medical Clearance Before Your Hair Transplant? 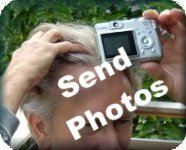 Please email us your pictures & Dr Shapiro will review them & give you a price.